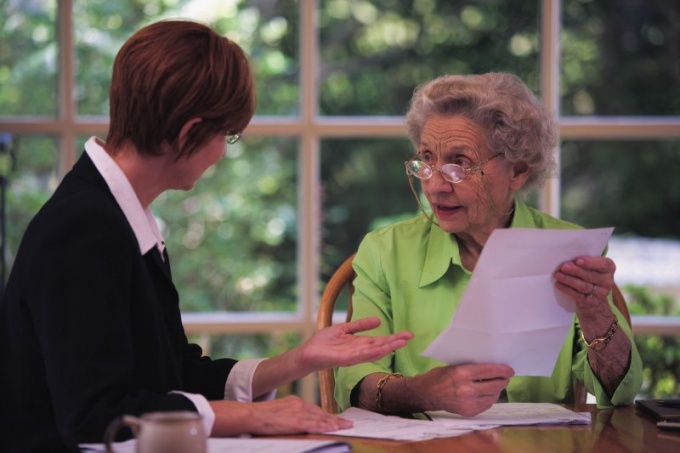 When one of the elderly relatives or you wish to leave an inheritance for their children or relatives, the question arises, how best to proceed – execute deed or a will? Each of these options has its advantages and disadvantages. Come into a fortune: where to start? Pay attention to the conditions and subtleties of each version of the design is inherited property. For example, it will become the property of the heir only after the death of the relative of the deceased, who shall have the right to rewrite or cancel your decision at any time. Because by law he does not lose ownership rights bequeathed the apartment, house or other property. Unlike a will, deed of gift is prepared only once and is not retroactive. The deed of gift transfer of property ownership takes place immediately after registration of the transaction. Keep in mind the fact that the repeal of the endowment contract without good cause is very difficult. This can be done only in case if in court it is proven the inadequacy or incapacity of the donor. In probate under the will of some heirs, which had forgotten to mention in this document, but is entitled to its share, unable to challenge him. For this category of heirs are disabled dependents. Keep in mind that during the execution of a certificate of inheritance by will, there is a fee, whose amount depends on the degree of kinship. Namely: the spouse, children, grandchildren, full brothers and sisters of the testator will need to pay 0.3% of the value of inherited property, but this amount should not be more than 100 thousand rubles; other heirs are required to pay 0.6 percent, but this amount should not exceed 1 million rubles. The estate duty abolished in Russia in 2006. The gift tax also depends on the degree of kinship. Close relatives (spouses, children, parents, grandparents, grandchildren, brothers and sisters) are exempt from it completely. Distant relatives or friends are required to pay 13% of the value of the gift property is income tax. Be aware that the testator determines the circle of heirs and the share of each of them, their number can enter and outsiders. If for any reason during the lifetime of the testator, the bequest or endowment contract was not made, there is a legacy according to law. Usually, this means that the estate will pass to the heirs of the first three phases. Each of them shall enter into the inheritance in the case when the heirs of the previous turn is not available or refused his share of the estate of the deceased relative. Heirs of the first stage I believe: the wife of the testator, his parents, children, grandchildren and their descendants by right of representation. Second place – grandparents (by right of representation inherit nephews and nieces), full and half brothers and sisters. If the heirs of the first two stages is not, then the property of the deceased is divided among the heirs of the third stage. These include the aunt and uncle of the testator, and by right of representation – cousins and brothers.